One of its main backers, a startup called Mesosphere, announced Monday it has closed an additional US$10.5 million round of funding and will use the money to develop new tools and support offerings to make Mesos more appealing to large businesses. Mesos is open-source software originally developed at the University of California at Berkeley. It sits between the application layer and the operating system and makes it easier to deploy and manage applications in large-scale clustered environments. Twitter adopted Mesos several years ago and contributes to the open-source project. 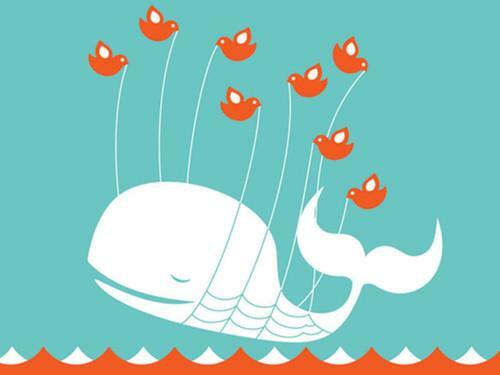 The software helped Twitter overcome its scaling problems and make the Fail Whale -- the cartoon symbol of its frequent outages -- a thing of the past. Mesosphere's CEO, Florian Leibert, was an engineer at Twitter who pushed for its use there. He left Twitter a few years ago to implement Mesos at AirBnB, and last year he left AirBnB to cofound Mesosphere, which distributes Mesos along with documentation and tools. On Monday Mesosphere said it had secured a new round of funding led by Silicon Valley investment firm Andreessen Horowitz. It will use the money to expand its commercial support team and develop Mesos plug-ins that it plans to license to businesses. Mesos has several advantages in a clustered environment, according to Leibert. In a similar way that a PC OS manages access to the resources on a desktop computer, he said, Mesos ensures applications have access to the resources they need in a cluster. It also reduces a lot of the manual steps in deploying applications and can shift workloads around automatically to provide fault tolerance and keep utilization rates high. A lot of modern workloads and frameworks can run on Mesos, including Hadoop, Memecached, Ruby on Rails and Node.js, as well as various Web servers, databases and application servers. For developers, Mesos takes care of the base layer of "plumbing" required to build distributed applications, and it makes applications portable so they can run in different types of cluster environments, including on both virtualized hardware and bare metal. It improves utilization by allowing operations staff to move beyond "static partitioning," where workloads are assigned to a fixed set of resources, and build more elastic cluster environments. The software is used today mostly by online firms like Netflix, Groupon, HubSpot and Vimeo, but Mesosphere will target large enterprises -- "the Global 2,000," Leibert said -- that are wrestling with large volumes of data and struggling to manage it all at scale. That includes customer data collected at busy websites and operational data gathered in the field. "A lot of organizations are under pressure to do things at scale, they're running a lot of diverse applications and the wheels are coming off," said Matt Trifiro, a senior vice president at Mesosphere. Mesos can manage clusters in both private and public clouds, and in December Mesosphere released a tool for deploying Mesos to Amazon Web Services. Both AirBnB and HubSpot manage their Amazon infrastructures with Mesos. Mesosphere will continue to provide its Mesos distribution for free, including tools it developed such as Marathon. On Monday it released an update to the core Mesos distribution, version 0.19, along with new documentation. It plans to make money by developing and licensing plug-ins for Mesos for tasks like dashboard management, debugging, monitoring and security, and by selling professional services. It has 25 full-time employees today, spread between Germany and San Francisco. "We're building out our services operation as we speak," Trifiro said.